The following is syndicated from stacyclaflin.com and is posted here with permission. I entered NaNoWriMo (National Novel Writing Month) on a whim. I wasn’t going to for a couple reasons. 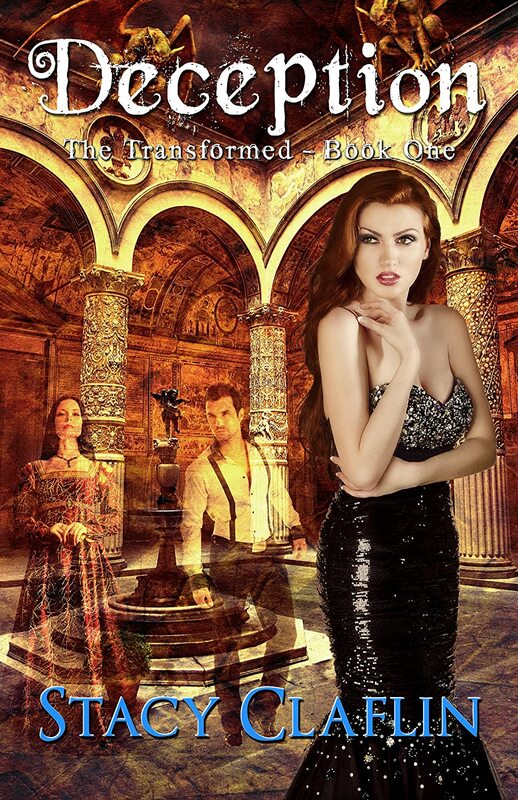 The first was that I had already began my novel Ascension, book #4 in the Transformed series. The second reason was that I had done my own version of NaNoWriMo from the middle of September to the middle of October. Though I had heard I could join as a Rebel, I still wasn’t sure. The morning of November 1st, I listened to a podcast on Rocking Self Publishing about NaNo, and was finally convinced. I signed up that day, and the next day I went to a local event. I completed my fifty thousand words on Tuesday, November 26th – with four days to spare. NaNoWriMo takes place in the month of November (they also run a smaller scale one in July) where people come together with the goal of writing 50,000 words – the length of a novel. There are local events you can attend, forums to chat online, widgets to keep you on track, emails to motivate, and more. After having written two 50,000 in four weeks, there are some things that I’ve learned which I believe can help any writer. Before you start writing your book, decide your daily word count goal. Decide how long your novel is going to be and how many days a week you will write. Personally, I work more effectively when I take a day off. I write Sunday through Friday, taking Saturdays off. Since I don’t write every day, I have to take that into account when I set my goals. For those who write daily, they need to write 1,667 words each day to write fifty thousand words in thirty days. My goal is at least two thousands words per day. If you wait for inspiration to strike or the right time to just happen – it won’t. You need to make the time, and you need to take it seriously. Don’t do anything else during your writing time. No internet, no phone calls, nothing. This has been one of the toughest challenges for me. It’s tempting to fix the typos and other errors, but it seriously slows the flow. Use spell check later. You’ll have plenty of time to edit…when you edit. Let your writing time be solely for writing. I’m a natural “pantser” – I love to let the story go where it takes me. I shied away from plotting for a long time, but I have found that a very loose outline really helps me to write faster. I keep the outlining short and vague, giving me plenty of room to let the story go where it needs to go. But having a direction all but eliminates staring at a blank screen, wondering what to write next. I don’t get up much earlier, but I managed to go from 800 words a day over the summer to about 2,100 words now. Seriously. Outline and quit editing! Tell people about your goals and share your progress daily. That’s a huge motivator for following through. During Nano, I shared my daily word counts in an online writing group I’m in. The rest of the time, I tell my readers when they can expect my books to be published. I tell my beta readers when to expect their file to arrive. Sure, I know the world won’t end if I don’t come through, but keeping on schedule motivates me. What motivates you? Some writers reward themselves with watching a favorite show, eating a favorite treat, or something similar. Do what works for you. If you’re looking for more writing tips, check out my writer’s resources page. Did you participate in Nano? In my opinion, even if you don’t hit 50,000 words, you still probably learned and accomplished something. Tell me about it in the comments.